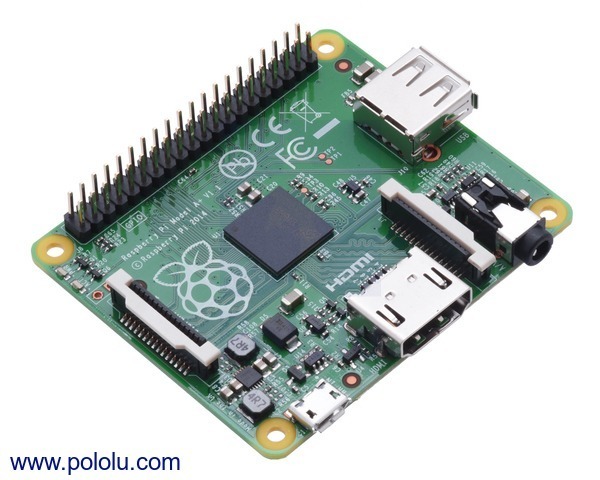 With its 0.1â€³-spaced GPIO header and small size, the Raspberry Pi also works as a programmable controller in a wide variety of robotics and electronics applications. It can also be combined with our A-Star 32U4 Robot Controller LV with Raspberry Pi Bridge to make a great controller for a small robot. We also carry a selection of Raspberry Pi expansion boards. 40-pin GPIO header with 0.1â€³-spaced male pins that are compatible with our 2×20 stackable female headers and the female ends of our premium jumper wires.